Remove cabinet doors and hardware from island base. Prep surface of island cabinet base including doors and chairs by washing thoroughly to remove dirt and oils. Allow to dry. Sand any rough areas, if necessary. Wipe down island cabinet base, doors and chairs to remove dust and particles on the surface. Apply even coats of paint in a side-to-side motion. 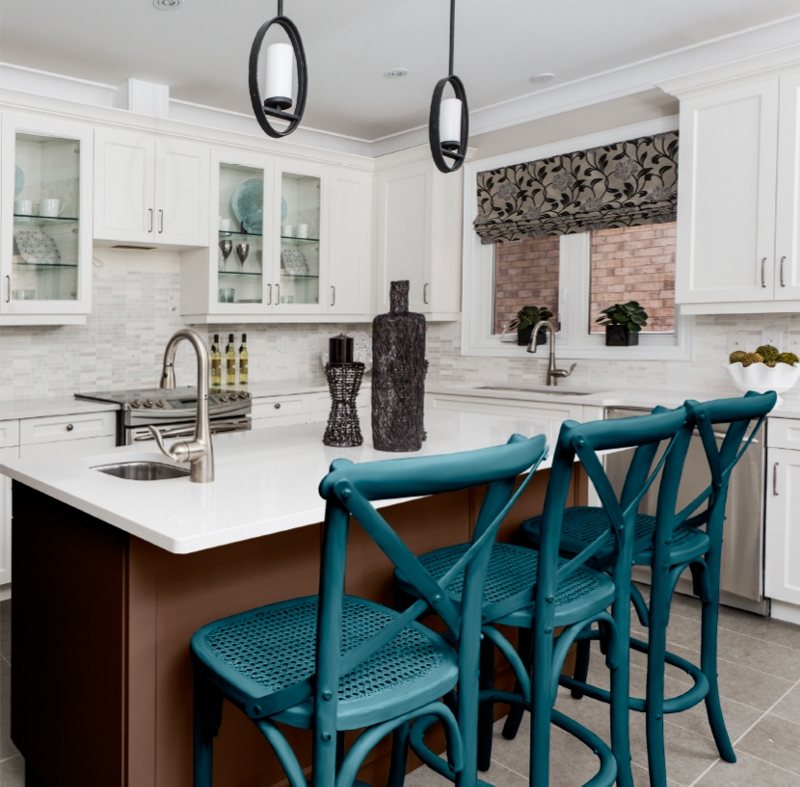 We used Krylon® ColorMaster™ Paint + Primer Leather Brown on the cabinet base and doors; Bahama Sea on the Chairs. Recoat until island cabinet base, doors and chairs are completely covered. Allow paint to dry completely before attaching doors to cabinet front and using chairs.